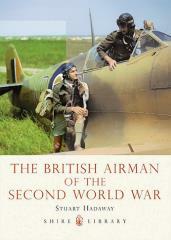 This title will provide an introduction to the extraordinary range of conditions and challenges experienced by British airmen during the Second World War. The airman of the Royal Air Force served in every corner of the globe during this conflict, operating over oceans and deserts, jungles and cities. Rather than take the usual route of defining operations and crews by the types of aircraft used, the author examines what it meant for the young men who had to fly those aircraft and undertake those operations, and what their lives were like on the ground. The knowledge needed and tasks performed by them differed immensely - even within the same aircraft, the skill-sets of each member of the crew could differ to the extent of incomprehensibility to the others. All were vital. Each airman had his own view of the war, both in the air and on the ground. Personal testimony will provide insight into the experiences of those who served.